What do you think of this Bouncy Bands for Chairs? 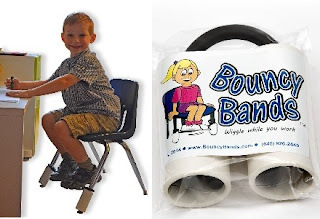 All children love being able to move while using Bouncy Bands for Chairs! Especially children with ADHD, anxiety disorder, autism, Asperger's Syndrome, and children who simply don't like their feet to dangle all day from their chair. Relieves their anxiety, hyperactivity, frustration, or boredom. Teachers love that these are quiet and don't disturb or distract other students.